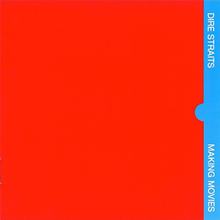 When I visited Dire Straits’ previous album, “Making Movies,” I mentioned that when I saw them live in 1985, how disappointed I was that they did not play my favourite song from that album and my number two Dire Straits song of all time, “Skateaway.” To add to that disappointment and my total perplexity on this, they did not play the biggest single from their 1982 album, “Love Over Gold,” “Industrial Disease” either. What was strange about that was even three years later, that song still got the occasional play on the radio. “Industrial Disease” isn’t only the best known song on the album but it is the only track less than six minutes in length. 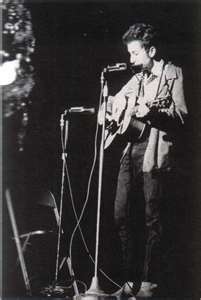 The others are nearly seven or more and the opener, “Telegraph Road,” is just over fourteen minutes long. The opener sets the tone for the entire album. Normally, I view songs over ten minutes in length with both optimism and pessimism. Either the song is going to rock out with interludes of great solos and combined musicianship or just be boringly repetitive. Fortunately, “Telegraph Road” follows the former. While, Mark Knopfler’s vocals aren’t too intelligible on the track, he makes up for it with some sound guitar work in different points of the song. It helps that he has assistance from some polished keyboard work, compliments of Alan Clark. If Knopfler’s vocals aren’t intelligible in the opener, they are even less so on the next track, “Private Investigations” but like the first track, it is more than made up for with some fine instrumental work. “Industrial Disease” takes the middle slot of the album and we get more of same quality blend of progressive rock and blues based lead guitar with the title track and a very worthy closer. 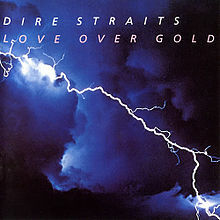 “Love Over Gold” might only have five tracks stretched out over forty minutes but they are definitely ones to remember. 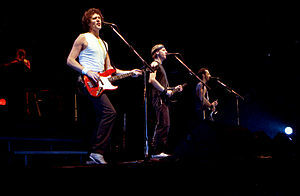 After thirty years, I remain dumbfounded as to why Dire Straits never played “Industrial Disease” on their 1985 tour. I can only speculate that maybe they were advised not to play too much of their early stuff on tour because they were pushing their most commercially successful album then. Still, it would be a shame because there are five really good tracks on the “Love Over Gold” album and the longer tracks tend to sound much better live. The first time I heard the Dire Straits song, “Sultans of Swing” I was in the marines listening to it with a bunch of my marine buddies. One of them stated, “It’s Bob Dylan” and another added, “And he’s got Clapton backing him up on guitar.” While I would have loved to have seen such a calloboration, I am satisfied with knowing that Dire Straits is the closest I will ever get to it. 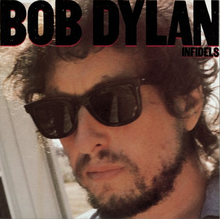 Besides, Mark Knopfler is a much better vocalist than Dylan and on this album he plays guitar almost as good as Clapton. 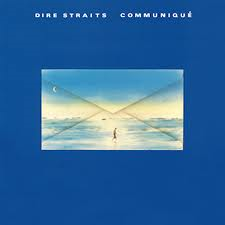 In spite of the fact that “Sultans of Swing” reached number four in the US charts, this first album by Dire Straits is definitely not a one song, the rest filler album. 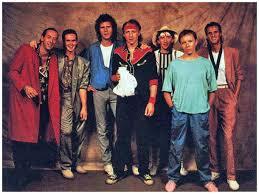 There are many great tracks that shows the guitar talents of Knopfler and supported by the rest of the band. Of course, the forementioned song is my favourite Dire Straits song of all time but there are some other good tracks on the album as well. It’s the later tracks that do it for me like “Soutbound Again,” “In the Gallery” and “Wild West End.” However, the entire album is a good soft rock listen with some fantastic blues guitar licks compliments of Mark Knopfler. I didn’t get to hear this album until 1980 and I have always concluded that it was just one of those albums that came out when I was in boot camp in the summer of 79. 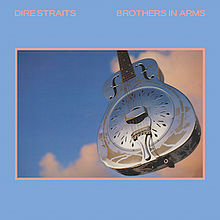 Furthermore, in 1985, when everyone was raving about “Brothers in Arms,” I automatically thought back to this album and remembered that it was more genuine offering than the more commercially produced one in the mid 80s. This is the album I will always associate most with Dire Straits.